This trimester 6th grade students in Dr. Glen Emerson's classes had opportunities to demonstrate their understanding of perimeter and area by designing and building treehouses in MinecraftEDU. MinecraftEDU is a special version of Minecraft software especially designed for teachers and schools. Teachers are able to create lessons and projects for students to virtually complete using a local MinecraftEDU server, which is only accessible by students in the class. Teachers can limit or restrict the building and interaction options available for students as appropriate for the lesson. Students were not only able to practice and demonstrate their math, design, and 3D visualization skills in this project, but were also able to practice problem solving as well as good digital citizenship. 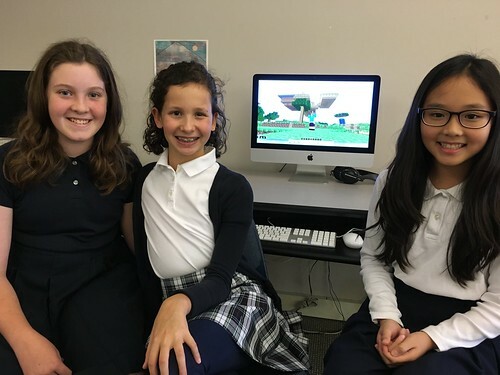 After completing a "Minecraft Treehouse Challenge" project taught by Dr. Emerson, students gave presentations to their classmates and provided virtual, narrated tours of the treehouses and other structures which they built. This six minute video features interviews with sixth graders Kyuna, Lauryn, and Rachel. They provide a narrated tour of their treehouse, corral, and other structures they built collaboratively for this project. Welcome to our Casady School Learning Showcase website. This is an online space to celebrate innovative and successful student learning! 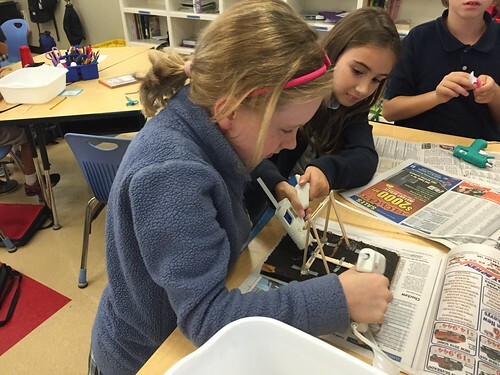 Every day our students and teachers are participating in engaging lessons and building interesting projects. We want to amplify these examples of student work, both within and beyond our Casady community in Oklahoma City. An important way we're using technology at our school is to "show what we know with media." By including photos, audio recordings, videos, and other types of multimedia, our students can demonstrate and communicate their knowledge and skills in powerful ways. By inviting students to CREATE with media, we are providing opportunities for them to explain their thinking as well as their work in greater detail and depth than they could with paper and pencil. Over time, these digital artifacts can become part of a portfolio of work students and teachers can use to visibly see learning progress over time. We hope you'll share the projects you find here on your own social media accounts: On Facebook, Twitter, Pinterest, and elsewhere. Please help us amplify the creativity, curiosity, innovation, and successful learning of our students! Our project is modeled after similar learning showcase websites created by other schools. See the About page of the OklaEd Learning Showcase website for more background and examples of these websites. If you have any questions about this website or a suggestion for a student project we should feature, please contact a member of our Casady Technology Team.